The Detroit Institute of Arts (DIA) and Midtown Detroit Inc. (MDI) have selected eight finalists for the “DIA Plaza and Midtown Cultural Connections” design competition. 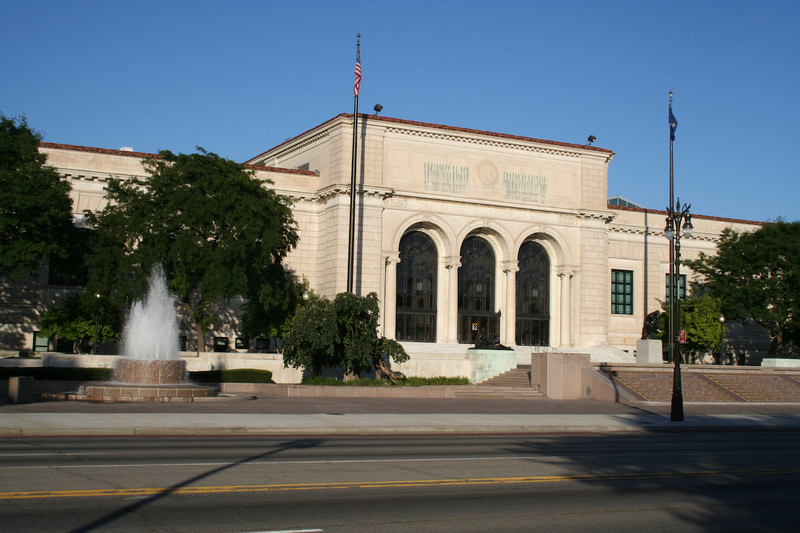 The competition seeks to improve the exterior campus of the DIA and refine the spatial relationship between other museums in Midtown, as well as educational institutions like Wayne State University and cultural stalwarts like the Scarab Club. The competition strives for a plan that provides the DIA and Midtown’s stakeholder institutions with a cohesive campus that has the flexibility to support events and public art, attracting both the local visitor and world traveler. The competition also aims to make the campus more accessible and user-friendly, considering ways in which people enter and exit each building while addressing parking and driveway issues. The eight firms will each make public presentations in the DIA’s Danto Lecture Hall on June 13 and 14. The eight finalists are local and global. They include Agence Ter (Paris), Hood Design Studio (Oakland, CA), Mikoung Kim Design (Boston), Spackman Mossop Michaels (Detroit), Stoss Landscape Urbanism (Boston), UNStudio (Amsterdam), Ten x Ten (Minneapolis) and WXY architecture + urban design (New York). Midtown, anchored by Woodward Avenue, has seen significant population and business growth in the last five years, attracted by institutions like the DIA. Yet the area struggles to resolve how to make surrounding streets and public spaces walkable while being bound geographically by freeways.